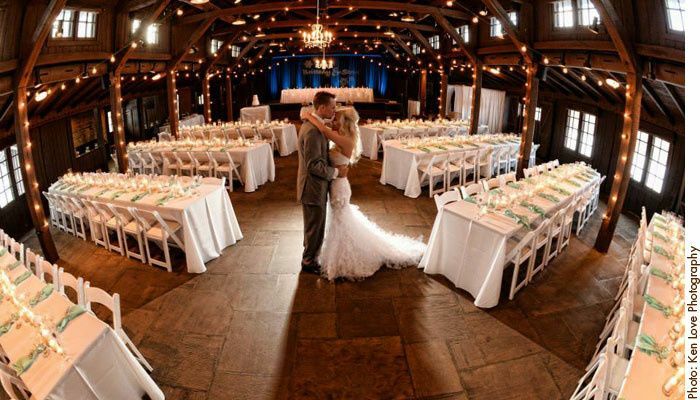 The Happy Days Lodge at Cuyahoga Valley National Park is a historic wedding venue in a park in the greater Cleveland, Ohio area. 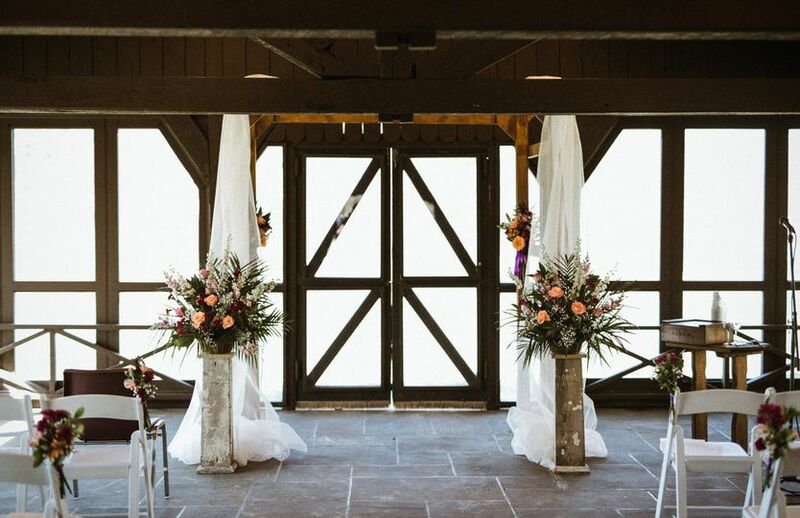 This country venue has a breezy feeling that may be attributed to the screened-in porch, which couples can use for their big day. 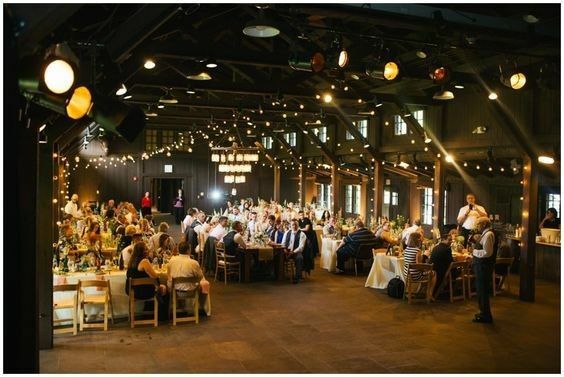 This vintage venue is found 35 minutes from downtown Cleveland. 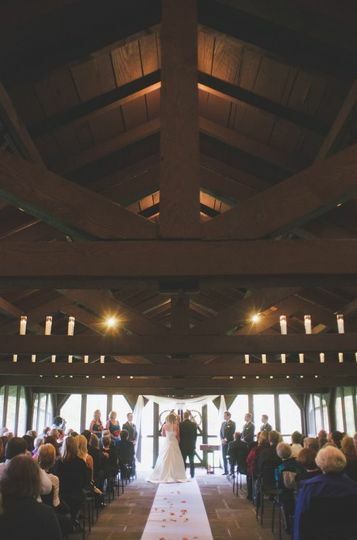 With the capacity to hold up to 200 wedding guests, the Happy Days Lodge at Cuyahoga Valley National Park offers a rustic and authentic atmosphere for a couple’s big day. 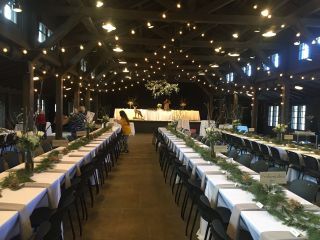 The interior of the lodge is a long open space, not unlike a barn, with cathedral ceilings and wooden beams running above the heads of guests. Windows let in plenty of natural light to keep the space from feeling closed off or cave-like. 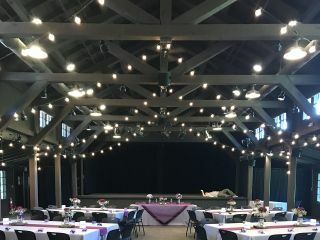 At the far end of the venue a stage rises up as the perfect location for a band or DJ. 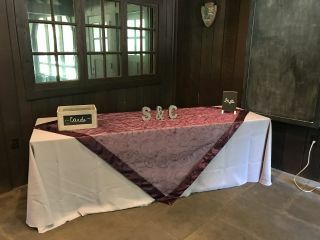 The screened-in porch can be used as a bright ceremony location or as a cocktail reception gathering spot. 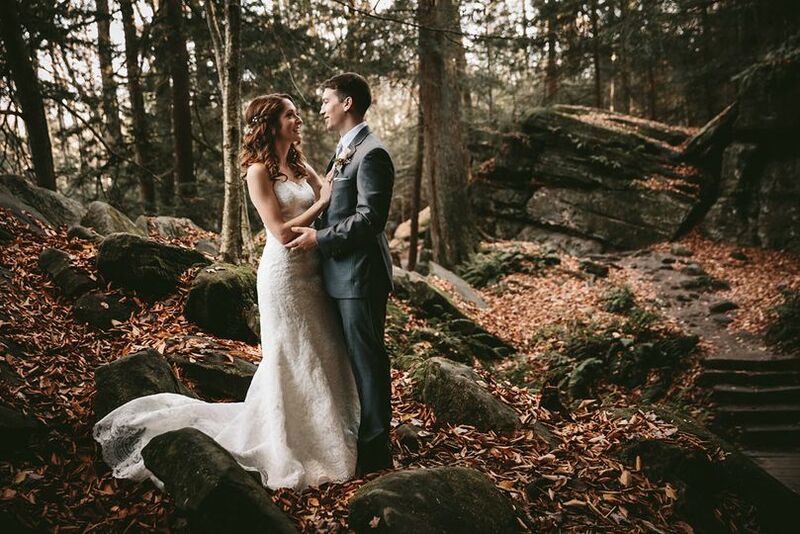 Located in the Cuyahoga Valley National Park, this venue’s property allows for ample amounts of stunning wedding pictures among rocks, trees and flowers. 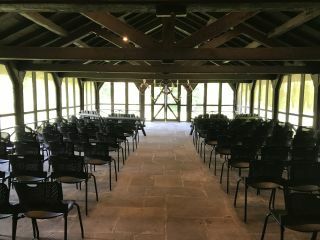 The Great Hall was built in the 1930s. It was founded by the Civilian Conservation Corps. This structure is in the middle of a rolling field. 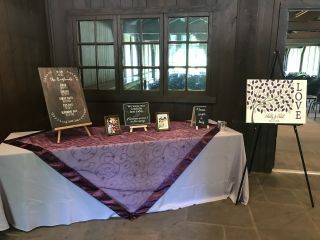 Couples choosing this venue are supporting the Conservancy’s educational programs and its mission to promote environmental stewardship. 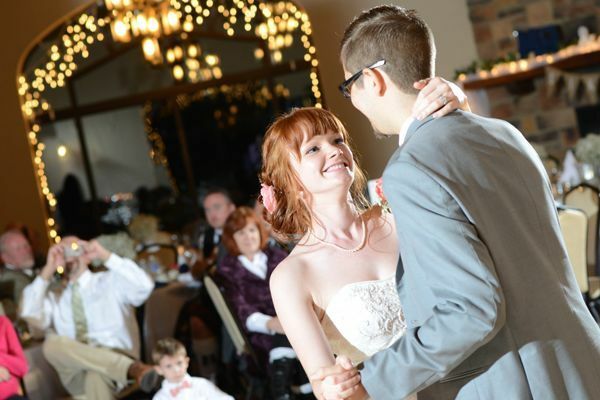 Happy Days Lodge is a great venue; it's a mix of rustic and elegant. 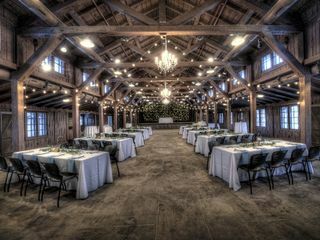 So much is already provided (beautiful lighting, tables and chairs, spaces for both ceremony and reception) and it fit our guest list of 80. The staff is kind and responsive. 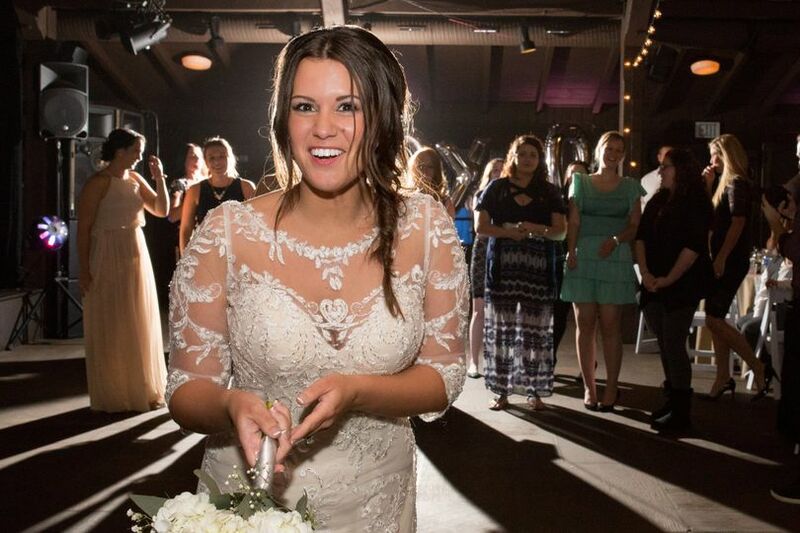 It was perfect for our winter wonderland wedding! 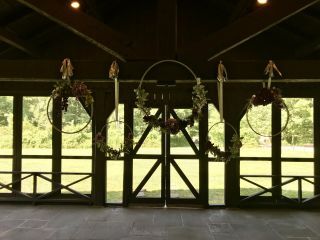 Happy Days Lodge is such a gorgeous venue. It really doesn't need much decoration! Everyone from the conservancy was so pleasant and helpful. I would not hesitate to recommend HDL to anyone. It was the best experience of a lifetime. Everyone was so helpful. 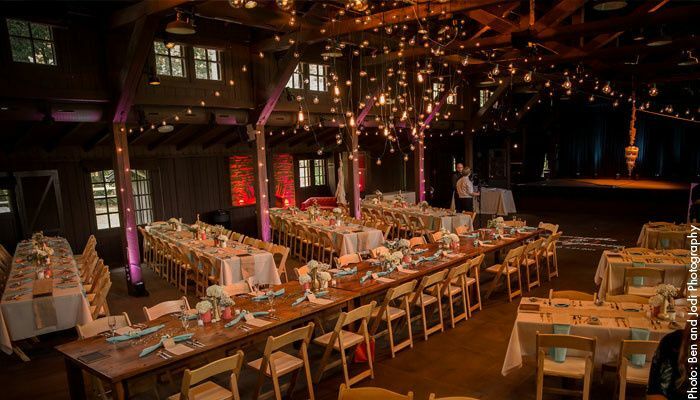 The setting is breath taking. 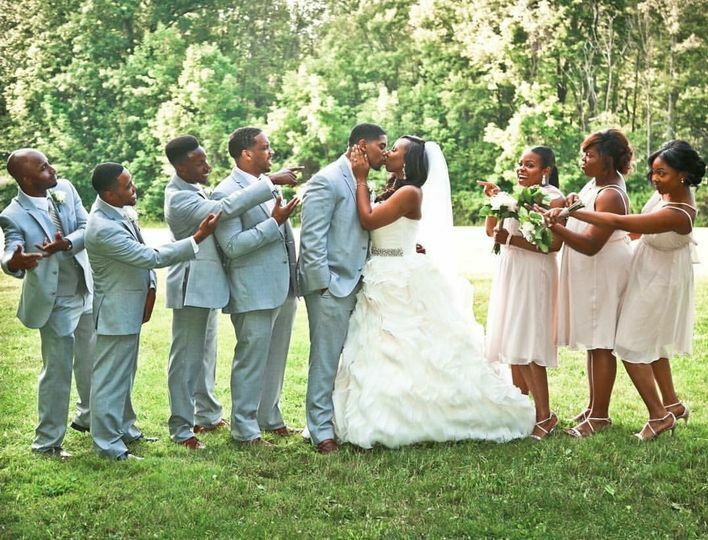 The the wedding was wonderful! 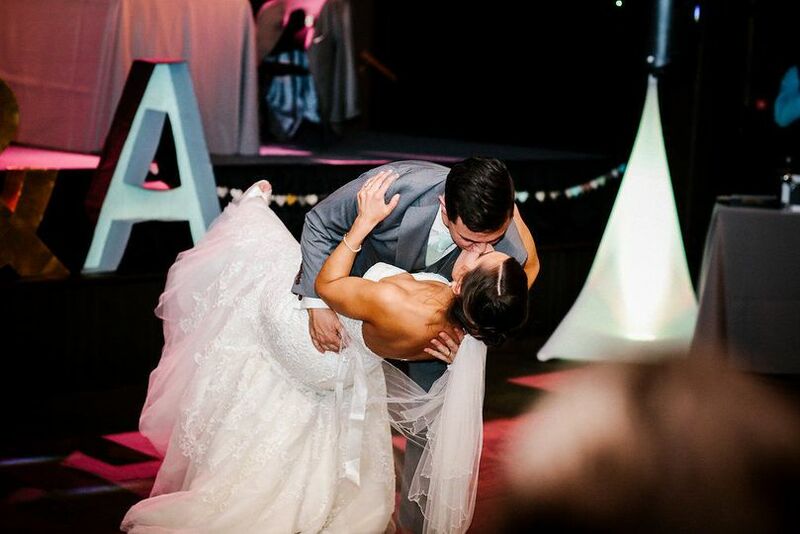 I would recommend happy days lodge to any bride! 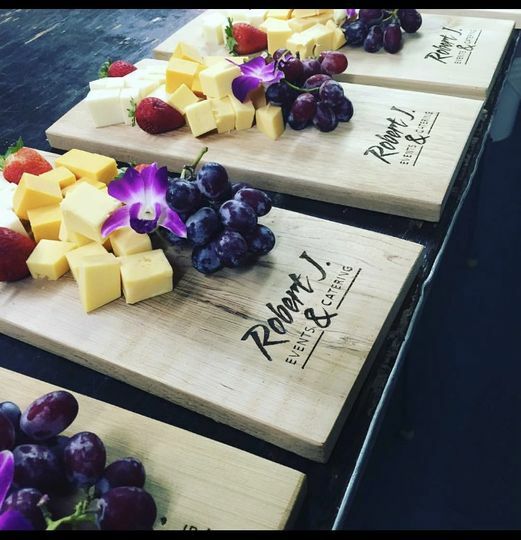 Love working here! Always a great time with great staff.